I completed graduation ( B.Pharm ) this year, then I did an online course in Clinical research & pharmacovigilance. There is less opportunity for freshers in this field. So, presently I am thinking of doing marketing in an MNC while I simultaneously search for jobs in CR. I want to know what are the future prospects of MR. Many of my friends have joined as MR in MNC's & they are getting fantastic salaries( 18-19,000) + incentive every 4 months. This has really generated an interest in me to shift field to marketing. But, I am worried about stability in the future. I need the guidance of experienced MR to help me understand the exact scenario aftr 2 years. Anyone who has or is working as a MR can also provide their valuable suggestions. Please it is urgent !! One of my friend, working in sanofi-aventis in Surat having basic package of 25k and additional TA, DA and other allowances which make his monthly gross to 35k and he is getting incentives almost in every 2 months and making his monthly income to around 50000 Rs. He achieve this only after 2.5 years of experience. 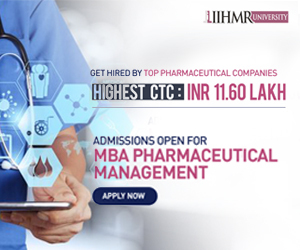 PHARMA MARKETING IS THE MOST SALARIED POSITIONS IN INDIA FOR B.PHARM GRADUATES. Thank you very much for your reply. Ya I agree with you regarding Marketing being the field with great opportunity to earn lot of money. Incentives & bonuses are very attractive which is not available in any field in pharmacy. But one concern is that everyday you have to travel to meet Physicians for atleast 3-4 years until you become a area sales manager which too is not totally an office job.You are still required to be on the field. Everyone likes to be in an office job & have stability in their career. Maybe this is the reason why people leave this job after a year or two. See this is only thing which you have to decide. You want to earn more or you wants stabilized life. Because is sales even if you reach to higher positions like RSM or ZSM still you have to travel across the places to meet to doctors. Yaar, MR is field for hard workers... only those can survive in the field who have ability to fight against new challenges and have some innovation in built or also have ability to handle pressure. You may get stable life is production, R&D, F&D... but believe me pressure will also there for complete production batch.. or to complete research/formulation project in time..
You can judge best to yourself.. Even in CR also up & down is available. If there is no project in your CRO or company then chance may be there that you may fired from ur designation. That was quite a good feedback. Yes, my friend also said that u will have to do a lot of hard work in this field for first 6 months.After wic the work will get a little easier & u can reap the benefits. Are you working as Medical representative? or is it just from ur friends' experience. I have decided to wait till Jan, if still I am unable to get through into CR I will start marketing. I agree what you wrote, but what about respect in the field and society. Is this life we-pharmacist deserve ? I worked as MR in past and right now I am in canada. Who told that respect is not there for MR? Let me tell you that medical representatives are most respectable person in Industry.. If they will not sale medicine then what is use of doing production or R&D / F&D. And also if we talk on managing panel of industry, how many M.pharm or Ph.D's are there ? Hardly 1 or 2.. All are from MBA and with sales and marketing background. This may true that MR is not a career but IT IS FIRST STEP TOWARDS CAREER. MR can reach position of MD. THIS IS NOT TOO EASY AS IT WRITTEN, IT REQUIRES MANY YEARS TO REACH THERE--- Only requirement is continuous work and performance. Im very much satisfied with your feedback about MR.im Pavan completed Mpharm in pharmacology and looking for a job in CR past 2months but nothing is coming my way.Now planning up to take MR as my career.What will you suggest for this bro.And can i know for which company you are working for in canada? ?Do MR have an opportunities abroad basing the experience here in india?? Think twice before you take MR job it requires hard work skills and tough personality i mean ability to tolerate rejection and handle pressure i am also an m pharm pharmacology but after completing my m pharm joined marketing just after my external viva if you are targeting CR then go in Mumbai stay there take a job of medical coding and wait for the vacancies in clinical research and pharmacovigilance give a walking make reference which is more important but remember for CR is also not available everywhere but MR job is available everywhere so may be you have to stay away from your hometown if you join CR also you can not predict the ups and downs in CR jobs as well. All the best for future. Are you working as medical representative in Canada? I am a pharmacy graduate and working as MR in a French MNC from last 2 years. I am seeking carrier opportunity in Canada. Please suggest me what could be best for me? I have recently join the MR Job in FDC. I was formerly working as asst prof in ITM University GWalior MP my qualification is M.Pharm (Pharmacology). What is the scope of career Growth for me ? I was an mr last four month ago. Picking up bag and begging rx from doctor, begging order from chemist and stockist like a begger. Sometimes it happen that 8th pass chemist person scrolled a mr and these people say ooh sory... why sory becouse they are high class educated begger. When I was an mr I have no time to prepare for any competative xam. But now I have qualify ibps po and join in a raputed bank as a scale 1 officer. Please do not join M R field, this is worst these days, MR are insulted by all including receptionist, patients , chemists and majority of the doctors, this field has lost the dignity. Top manager also use cheap language whenever target is not achieved, M R means become sophisticated beggars or mentally retired, has to tolerate everything in life. i m working as a medical rep from last two years in a reputed firm. i was also in same dilemma when i had decided this one as a career option. but now after two years of working my own little experiences says its all depends on you. if u really interested in selling tactics and u can bear all pressure for sales targets than go for it.. because this field can provide lots of money to u in a short span. I am confusion in mr and production. Going through all the feedback by my colleagues. I wish to spread more light in this issue. 1 .This is the place were you can work with self reliance. here only performance survives not buttering or all. If you perform you can held your head high . as you always carry job offers in your pocket. 2.Perks and rewards and recognition are best. Apart from monetary performers are given foreign trips. 3. Performers in sales are absorbed to office jobs such as Brand Management etc. 7 After sales exp with MBA you have good chances for Academics too. 1.Bit of social dignity issue is there , but money can compensate it. 2. It a tough job with freedom but strict restriction and the end of every month. Unless you become old employee of the organization. 3. If you wish to join then join southern or western India as working atmosphere there is cool no unethical pressure. Tough states are UP MP BIHAR DELHI. 5. Physical fitness is must and mandatory. 6 No fixed working hour. 8 But working at MNC enhances your overall personality that you can use to get promoted to higher designation is Mid class company. At last for you information Mithun Chakarworthy(FILM STAR) was a Medical Rep at the beginning of his carreer. Thank you for your concern & taking out time for such an elaborate description on the pros nd cons of being a Medical representative. 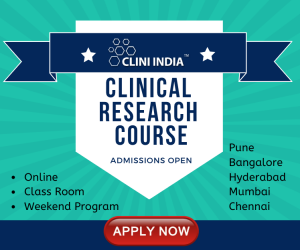 Your insight of this field is very helpful for aspirants like me and several freshers. As you mentioned you have worked in couple of companies both MNC's, how many years did you have to work to become a brand manager ? People say that the art of selling is in-born and you cannot develop that skill. Do you agree with that? What is your advice to freshers like me who want to excel in this field & reach high position within marketing? Pharma selling is totally a different segment as compared to MLM or FMCG or OTC products. Here if its needed then only sold. In pharma selling we dont approach the end customer, it the doctor whom we convey the benefits if its required by the patients then only it will be prescribed. whereas in FMCG FMHG OTC cosmetics all you generate the need at the customer's point.hence much selling apptitude and skills are required. Whereas is pharma selling its the right communication and convey of message with persuasion and convincing skill scan do wonders. here we talk on grounds. Ex, Shiv Khera worked in policy selling and he was sacked for being poorest performer. Then he realized that today onwards his family is going to starve, if he didnt sold, the day changed his life. he broke all records of sale, and today he is guest speaker to those companies for sale which sacked him and said u r not made for this job, go back and was the cars on street. So friend where there is a will there is a way. Pharma companies train you for it. Just don't loose patient skills are automatically acquired just be open to them. You can start you career directly in brand management form a small company but the one with sales experience behind does better bcoz he understand's the pulse better. As in my personal career i have trained hundreds of batches for MR i have seen pharma candidates doing wonders, many returned after the frustration of production jobs were jobless brought them to this field today they are performers. Just develop your skills accordingly to enter in brand Management and Marketing. Hello I am a B.Pharm pass out. Earlier when I joined B.Pharm 1st year I was all set to join Production but when I cane to know that in spite of working 8-10hrs they only pay 8-10k. I decided to opt for MR. I was topper of my college with an CGPA of 8.8. With good academic records and communication skills I want to trek my knowledge in MR position and I know initial period of job in MR is little difficult but still I have the patience and strength with hard believe that one day I will be at peak. I am a MBA graduate (fresher) and I plan to join in a pharma company as a medical representative. Whether the experience in this field help me to grow as manager other than the pharmaceutical area? Can anyone help me? Hello! Everyone. I am Avijit Sutradhar from Kolkata, done my graduation in commerce. Now, trying to search for a reputated job like MR. So I am little bit confused that is there any age restrictions for doing this job or for training? Like after age of 25 or 26 years it cannot be possible to do this job or to take training as MR? Please give me suggestions I am so much confused. Is this a good career job for future ? Can I select it ? Or if anyone think that any other kind of job will be suitable for me ( commerce Student) than please give me your kind knowledge. As far, you are fresher graduate or post graduate, there is no such concern of age restriction but company's may not hire candidates after certain age. But as per the best of my knowledge you will get hired easily. Pharma marketing is a good career option as it gives lucurative packages, travelling & exploring to new places etc. But it require hard & smart work, team work for continuos period of time. And also it is the best for self-motivated person.